Around 30 days are left to the Combined Graduate Level tier I exam which will be organized by the Staff Selection Commission from July 25, 2018 for various ministries, departments and organisations of the central government. The SSC CGL exam is being conducted for Group B and Group C posts. SSC CGL 2018 is the most famous exam among the graduates as there is no limitation of stream backgrounds, anybody from any stream can apply for this exam. This makes the competition very difficult. NEW DELHI: Around 30 days are left to the Combined Graduate Level tier I exam which will be organized by the Staff Selection Commission from July 25, 2018 for various ministries, departments and organisations of the central government. The SSC CGL exam is being conducted for Group B and Group C posts. It is important that you begin to prepare for your exam before time. Many candidates would be preparing by joining various coaching institutes and some might be doing self studies for this exam. However, the experts believe that the first step for preparing for any competitive exam is making a study plan and that too around the prescribed syllabus as it is very important to cover all the topics as per the syllabus and revise them. After completing the syllabus revise it, solve previous papers and attempt mock test as many as possible within the time frame. Therefore, the candidates are advised to make study plan and stick to that. Here, we have come up with one month SSC CGL 2018 Study Plan to focus on the above mentioned points. 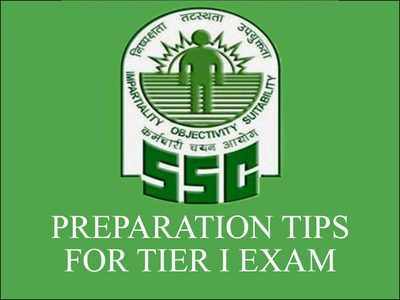 The candidates can follow the plan so that they can score good marks required to qualify for the SSC CGL Tier II exam. After reading this article you will be able to manage your time well as it is very important how you manage the time and how much time you devote to each section while preparing for SSC CGL Tier I. And like any other exam, the secret of cracking SSC CGL Tier 1 is to perfect a winning strategy. As per the notification of SSC CGL 2018, the Tier 1 exam is scheduled to be held July 25, 2018 onward. In other words, approximately 30 days remain. Let’s first, however, look at the various sections of the exam. 1) Analogy, Coding-Decoding, and Series cover almost half of the Reasoning portion. 2) There will be 7-8 questions on Word Formation, Matrix, Venn Diagram, Blood Relations, Directions, etc. 3) About 5 questions on Visual Reasoning (Paper Folding, Paper Cutting, Mirror/Water Images, etc.) are easy. The ‘Quantitative Aptitude’ section will require your maximum attention and time devotion. It will also play a vital role in SSC CGL Tier 2. The ‘English Comprehension’ section is crucial because of the practice required and its high weightage in the Tier 2 exam. 1) Vocab is important, as 8 out of the 25 questions are on Antonyms, Synonyms, One-Word Substitution, Idiom Phrases, etc. 1) Revise the Concepts and basics for every topic. Also, solve the exercises to understand their application. 3) Start writing the Mocks for SSC CGL to take the Leap in ensuring your preparation is of the required level for the exam. With just 30-odd days remaining, your focus should be on developing an in-depth understanding of the topics, subjects, concepts, basics, and pattern of the exam. Vary the time you devote to each subject, based on the level of your preparedness. Revise, work on perfecting your strategy, and take regular practice tests and full-length SSC Mocks. More importantly, ensure that you analyze every test you take, as well as Mocks, to pinpoint the errors you made, clear your doubts, and, in the process, learn how to manage your time efficiently. In addition, do pay attention to the cut-off predictions, which will differ, depending on the difficulty level of the respective Mock.